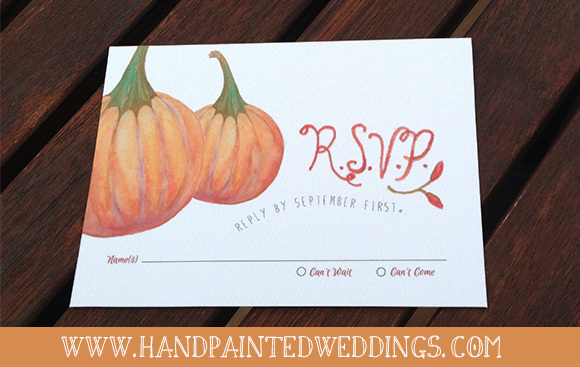 The Hand-Painted Pumpkin Invitation features a couple of orange pumpkins, one a bit smaller than the other. As I had stated before I think that the stems are the most interesting part of a pumpkin so I really zoomed in on the upper half of the pumpkin on the right in the invitation design. I think the design is cheerful but in a quiet Autumn sort of way. It is also the first Hand-Painted Shop Invitation that includes your very own hand-painted lettering for your names. 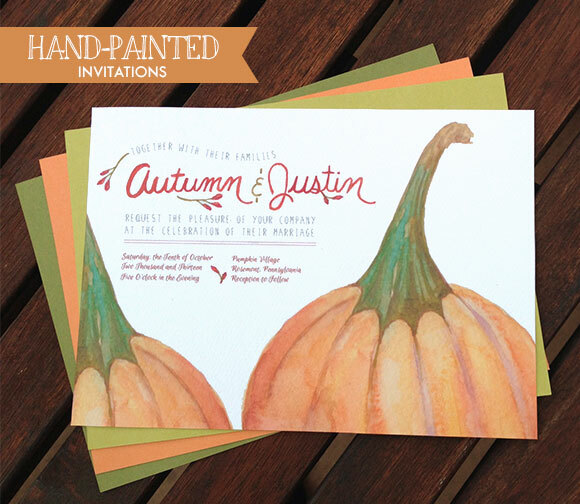 The Pumpkin Invitation is now available for ordering.